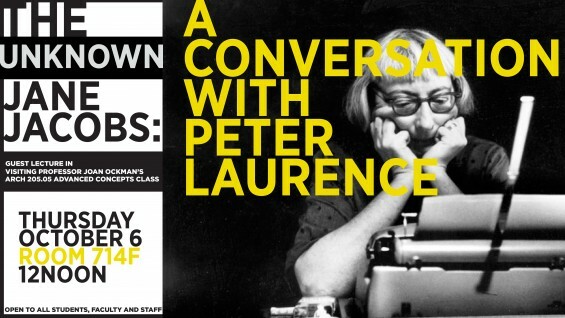 Peter Laurence is the author of BECOMING JANE JACOBS (University of Pennsylvania Press, 2016) and the director of graduate studies at Clemson University School of Architecture. Open to all students, faculty and staff. Room 714F.